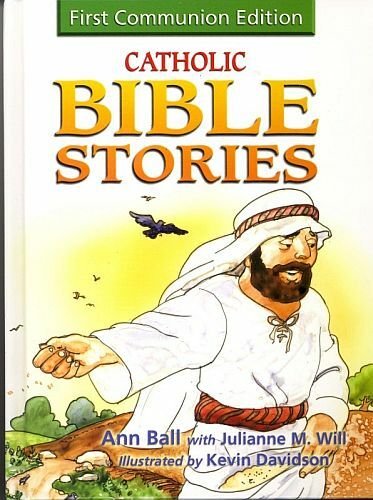 Catholic Bible Stories - First Communion Edition presents the word of God in a lively, yet reverent tone that captures the imagination and the spirit of children. It introduces young Catholic to lessons necessary for Faith formation including stories about Saints, Psalms, and more. There is a presentation page unique to First Communion boys and girls.